Wow! That black R2 really looks nice! Is the head decal all one piece, or is it multiple, smaller ones? Anyway, great job! Each piece of the decal was individually applied. So it took a long time to apply the whole head piece. Wow, great pics! Get a new camera Jared? I'm in awe of your awesome work on that Astromech. It's compltely and untterly awesome, if I might say. Fantastic as usual! Nope it is the same old camera. I am taking pictures at home lately with two light sources instead of on the light box. I am going to start a R2 series when I get my parts so be on the lookout. Thats really cool! It must have been quite hard to do all that work! Nice job! Very impressive, I hope lego releases some like this. Fantastic looking figures once again! 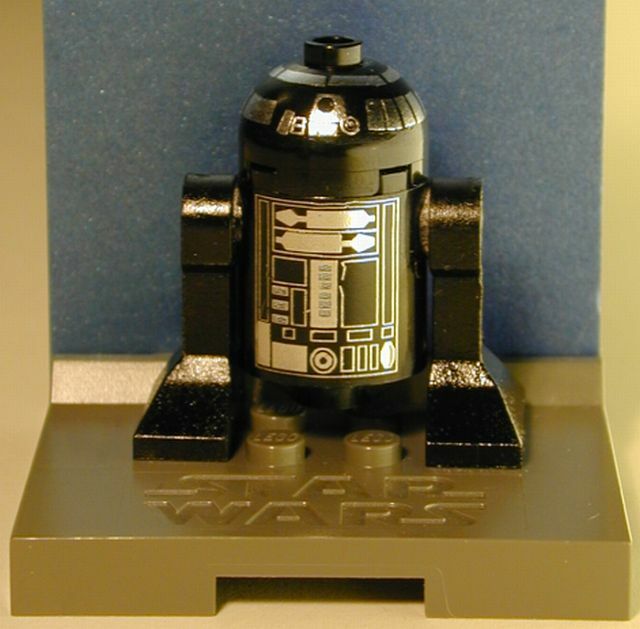 I'd love to have one of these protocol droids! It should not miss in any Hoth diorama!